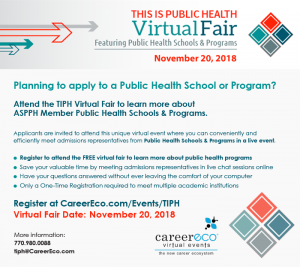 SOPHAS Virtual Fair – Learn about Public Health Programs! This is an easy way to find the Public Health school or program that is best for you. Give it a try!